Octavio Passos/Getty ImagesTyler Adams (left) is one of the few young American players to find regular playing time in MLS. The percentage of American players, especially young American players, in Major League Soccer, has declined. The U.S. lags behind European countries in providing playing time to young domestic players. Failure to develop young players is one explanation for the current struggles of the U.S. Men’s National Team, which will miss the World Cup for the first time in over 30 years. As America’s top domestic league has grown, its business approach looks to be diverging from what would best serve the interests of the U.S. national team. A report from Jeff Carlisle of ESPN contains an interesting statistic about the number of American players in Major League Soccer. And this decline coincides with a period of terrible performance by the U.S. Men’s National Team, who are set to miss the World Cup for the first time since 1986. By comparison, Carlisle’s article points out that so far this season domestic players make up half of the total minutes played in the Bundesliga in Germany, the reigning World Cup champions. This statistic speaks to one of the great tensions in the current U.S. Soccer setup: as America’s top domestic league has grown, its business approach looks to be diverging from what would best serve the interests of the U.S. national team. 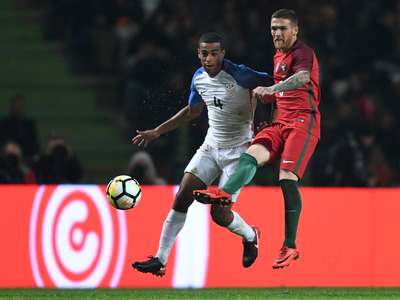 It would be overly simplistic, of course, to pin all of the current woes in U.S. Soccer on MLS player development – this most recent failed World Cup qualifying campaign was a perfect example of Murphy’s Law in action – but the lack of available playing time for American players, and particularly young American players, in MLS is a problem. Analyst Alex Olshansky notes that the number of young domestic players in MLS pales in comparison to European leagues. Missing out on the World Cup prompted a firestorm of criticism towards U.S. Soccer as a whole, culminating in a hotly contested election for federation president which took place in February. For the program to rebound from this disaster, MLS must do a better job of providing opportunities to young Americans to play and develop their games. With MLS opening-day kicking off this weekend, we’ll get our first hints as to whether or not that will actually happen.